Below are a selection of the most recent media articles. Please contact us if you have any questions or media related enquiries. Join Stuart Cooke in this broad ranging interview as he talks to Harry from Bay FM situated in Byron Bay. They discuss the differences that occur today across health and nutrition and how what we are being advised to do may not be the right approach if we’re looking at optimising our health. In Ep 36 of the RAW Barbell Club Podcast get to chat with Stuart Cooke, The co-founder of 180 Nutrition. He is the host of the amazing 180 nutrition ‘Health Sessions’ podcast, interviewing the likes of Wim Hof, Kelly Starrett and so many more. He is a wealth of information! Today we are super lucky to have not 1 … but 2 fantastic guests with us … the founders of the awesome brand 180 Nutrition and the masterminds behind the industry’s cleanest protein superfood. Guy and Stu are joining us today to chat about health, the business of health and productivity hacks. Help, share and inspire! Prepare to be inspired as DK and LT delve deep into the successes and struggles of pioneering new food paradigms. Understand the how and the why behind Guy’s successful nutrition company. 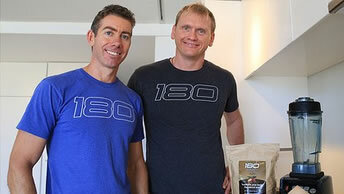 In this week’s episode I catch up with Guy Lawrence, co-owner of superfood company 180 Nutrition. This episode is so much more than just a recount of his successful health business. In fact it’s a story he hasn’t shared in a forum like this before. A drive to succeed and a determination to overcome setbacks that crop up along the way. These are the qualities of successful business owners – from sole traders running a small venture at home to medium size enterprises looking to export. Regardless of a business’s size, age or profitability, they are not only a crucial part of the national economy, but also our identity as a nation of innovators and optimists. Australian business owners have been invited to stand up and be recognised in the Annual Telstra Australian Business Awards. 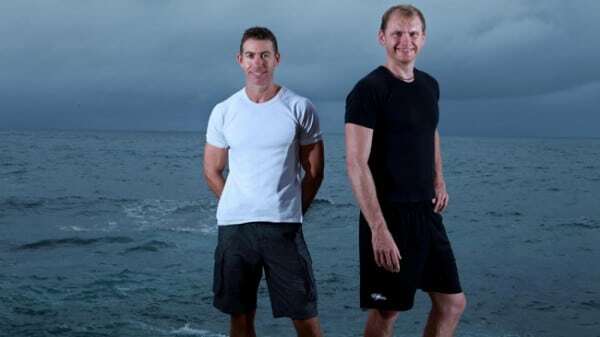 The idea behind NSW finalist 180 Nutrition came to Stuart Cooke and Guy Lawrence while they were on patrol for Coogee Surf Life Saving Club in 2010. They manufacture high-protein superfoods from 100 per cent natural ingredients and hope the awards process will help them refine their business procedures. “If two guys from the local surf club with an idea can turn it into a million-dollar business that is recognised by Telstra then hopefully that can inspire anyone with a business idea to put it into practice,” Mr Cooke said. He said that social media has been essential to their success and they “ran the business from an iPad”. The winners in each state and territory will be announced in July and will go on to the national awards, which will be held in Sydney on August 22. 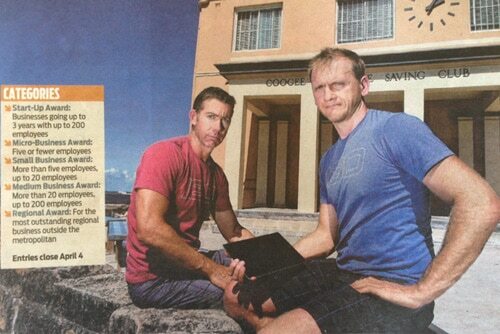 Surf lifesavers on the weekend and small business kings on weekdays – meet Stuart Cooke and Guy Lawrence. These entrepreneurs are riding the crest of an e-commerce wave with their online nutrition company, 180 Nutrition. Personal trainer Guy Lawrence was working with cancer patients when he decided to recommend protein powders, in combination with exercise, to help them recover their health. 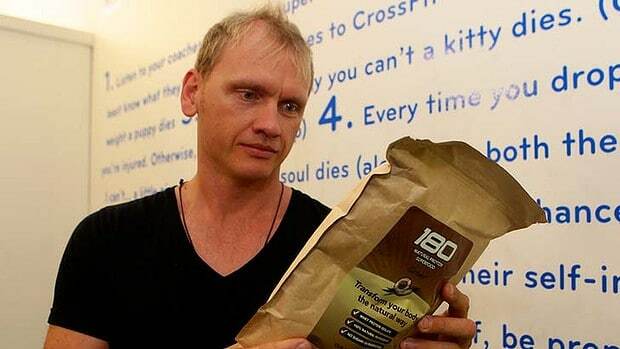 Despairing that he could find anything to fit the bill, he paired up with a friend, Stuart Cooke, and formed 180 Nutrition to produce their own protein powder, with natural ingredients including whey from grass-fed cows, almonds, flaxseed, sunflower kernels, pepitas and sesame seeds. Selling online from their office in the eastern suburbs, it immediately took off and is now stocked in hundreds of health-food shops around the country. As well, they are getting orders from the US and Canada. Two years on, the protein powder produced by 180 Nutrition, the company Lawrence launched with graphic designer Stuart Cooke, is taking the fitness sector by storm. They have even had an inquiry from the office of US mind and body guru Anthony Robbins. “It’s amazing how quickly it has taken off,” Lawrence, 37, says. “A lot of people want optimal health, and they want a really wholesome product to help them. Our business plan was to sell over the internet, driven by social media. With their product backed by nutritionist and naturopath Tania Flack, Lawrence and Cooke are keen to educate people on healthy eating. “We run regular exercise, nutrition and psychology blogs, which are proving very popular,” Cooke, 39, says.